Welcome to Dawnstips, Dawnstips is a blog where you can get some information on natural products,recipes,games soap making,crafts,Fabric,gift ideas,money saving ideas, treatments or Animal care, Ways to empower yourself, make money online or save money shopping. Here you will find pictures of my saddle pads and other items from my page dawns saddle pads I offer for sale as well as,videos and helpful information on all things related to life. welcome and Enjoy. I enjoy playing World of Warcraft as much as anyone, but these days my time is limited. I started to get really frustrated because I wasn't able to get as much done as I wanted to in my play sessions, and I started to fall way behind my friends who had more time to play than me. I spent months looking for tips and tricks online to improve my leveling speed but most were dead ends. That is until I stumbled across something called Zygor Guides, a completely in-game World of Warcraft stragegy guide. Zygor's Leveling Guide isn't like the printed book guides you will see in some game stores. It is completely digital, which means it is always kept up to date, and it runs INSIDE the game telling you exactly which quests to pick up and how to do them. 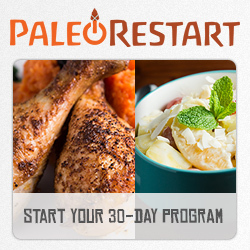 It's all automated and detects your actions, updating itself as you complete each step. Navigation couldn't be more easy with Zygor's on screen 3D Waypoint Arrow that literally points you where to go. The arrow has a built in Travel System that works like a Google Maps for Azeroth, caculatlating the fastest directions to get to your next location. There's also lots of different ways Zygor helps you with the more tedius aspects of the game, allowing you to just focus on the fun parts. Take talents for example. Zygor's Guide includes a Talent Advisor that helps you figure out the best way to spend your talent points. There's also something called the Gear System that pops up anytime you receieve better gear, alerting you of the upgrade and autoequipping it for you if you'd like. All of these features work together to power level you in lighting speed. In fact, sometimes I would level so fast that the guide would dynamically change and allow me to move to a better zone so I would get more XP. Of course, if you're a completionist the idea of skipping zones might not sound like a good idea, but never fear, Zygor Guides includes all the quests needed to get the full Loremaster achievement. 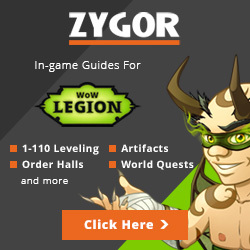 Zygor's Dailies and Events Guide Hit Level 120 And Don't Know What To Do Next? When making a new character in World of Warcraft, your options are somewhat limited. This is why most people focus on maxing out their character first because once you hit level 120 a whole new world of oppurtunity opens up to you. There are so many things to do that it can often be hard knowing where to start. One of the most popular activities to do in the end-game are repeatable quests you can complete once every day called Dailies, which offer gold, reputation, and other rewards. Unfortunately, there are so many Dailies, and so many factors it takes to unlock them, that is is easy to get lost and confused. Luckily, I have a secret to get me through, and it's called Zygor's Dailies and Events Guide. These are in-game software guides that walk you through anything you would like to do in World of Warcraft using a step by step format that dynamically updates as you complete each step. Best of all, it has a rotating #D arrow to points you exactly where to go. You really have to try it in action to really see how amazing it is. Zygor's Dailies and Events Guide includes all the new dailies found in Pandaria, as well as all the past dailies in areas such as Outland, Northrend, Firelands, and Deepholm. You also get sets of profession Dailies for Fishing, Cooking, and Jewelcrafting. To top it off they also throw in a guide that covers all the seasonal events. Just about every month there's some sort of holiday, or "event" going on in World of Warcraft, and Zygor's Guide covers all 12 months of events, including mini world events like Darkmoon Faire and the new Brawler's Guild. If all of this sounds too good to be true you can try out Zygor Guides for yourself today for free on their official website. Well a lot has happened since August 2015 . My computer decided to crash resulting in me not being able to keep all my online "stuff" under control. My phone just does not cut it. And my internet was playing games with me and my electronics. 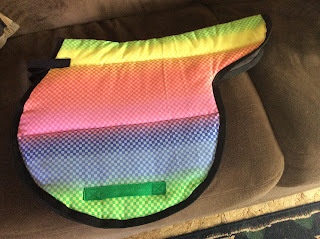 So I devoted my time to making more saddle pads, not just in western but in English too. 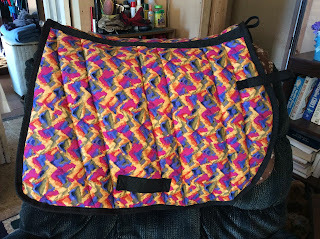 I learned how to make bags, wallets and pony trail pads. I even started making jewelry ( who knew I had this much talent inside) I spent my time going out of my comfort zone by going to farmers markets and trade shows . It has all started paying off . 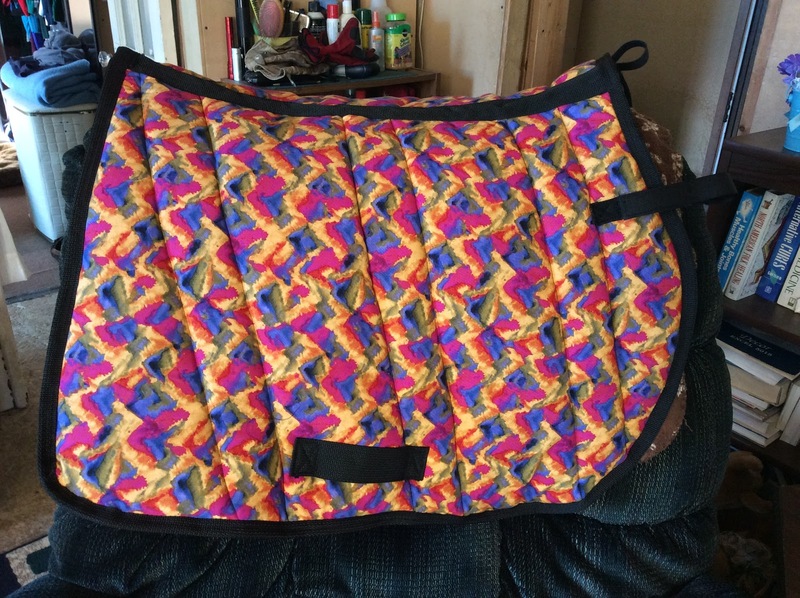 I actually sold 14 saddle pads , numerous bracelets and wallets. Christmas came and with it I was given a computer . So here goes me listing pictures of what I have for sale. I now do Dressage pads and pony size pads. mini pony pads and survival wallets. You too, like the others, have decided to start with the affiliate programs. 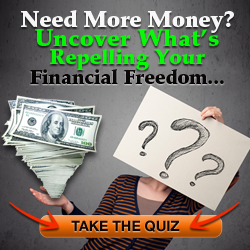 Also, you must have heard that it's not a big deal to make good money with affiliate marketing, provided you choose the right programs and do some strategic planning while promoting your affiliate products. So far so good. Take a close look at the industry, you will see that not every one who gets into affiliate marketing is successful. People who are doing well leave no room for failure and take all security measures and understand its importance. Yes! Security is one of the key factors in affiliate marketing. If you do not adopt proper security measures, then your business will be at high risk. One of the most important way to restore security is to protect your affiliate links. Do not take them for granted. A bit of carelessness on your part in regards to affiliate links may cost you a lot of dollars. Do you know the long complicated links that you send to your prospective customers not only look convoluted but they can create a lot of problems too! If you send such an affiliate link to your customers, then the smart ones will definitely figure out that you are promoting someone else's product and they would rather visit the parent company. Also, if your link does not function then your customers have to type a really long URL into the browser, which will definitely put him or her off. In order to avoid such a rip off, ViralURL gives you full protection and sees to it that your affiliate links never get exposed to others. So save yourself from getting ripped. In short, ViralURL allows us to create massive business leverage. I don't see any negative aspect associated with ViralURL. All you have to do is join it for free, then cloak your links, promote them and see your business soaring higher and higher. If you live in Canada like I do, Finding great online fabric stores in Canada is not so easy. I use to order from fabric.com in the united states but the exchange rate is a killer. well Fellow Canadians if you sew these awesome company's have a great selection of fabric and most can be paid with paypal. This is just a partial list. for more info check out The finished Garment site listed below.